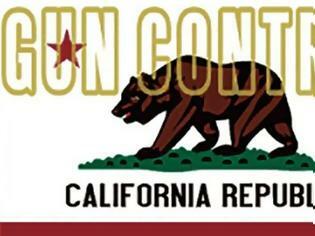 Recently, Governor Jerry Brown of California signed a number of new gun control bills into law while vetoing several others. Even though California already has some of the strictest gun laws in the nation, the Democratic-controlled legislature met and pushed a number of gun control bills through both houses that were then sent to the Governor’s desk. The proposed new bills were written largely in response to the Parkland Florida school shooting in February of 2018 that claimed the lives of seventeen students and teachers. In many ways, the bills that Governor Brown signed into law echo very similar laws that were passed and signed into law by Governor Rick Scott of Florida. That being said, Governor Brown also signed a number of laws that are far more restrictive than the ones Governor Scott signed into law earlier as well. Perhaps the most notable of the bills that Governor Brown signed into law was raising the legal age from eighteen to twenty one years to purchase rifles and shotguns from licensed dealers. Governor Scott signed a very similar bill for Florida earlier this year. The California law applies not only to California residents buying guns from licensed dealers in the state, but also those making online purchases. Governor Brown also signed into law a bill that imposes a lifetime ban on owning firearms for California residents who have been convicted of serious domestic violent charges as well as those who have been hospitalized twice within one year AND who have been deemed by medical health professionals to be a danger to themselves and/or the general public. However, the law also includes a provision that those subject to the law will have the right to petition the California court for the right to purchase and possess a firearm. Another bill that became California law after Governor Brown’s signature was a requirements that applicants for concealed gun licenses must complete a minimum of eight hours of firearms safety training under an approved instructor, and that the training must furthermore include a live firing exam to demonstrate that the applicant is competent with the firearm. Yet another law that restricts guns in the state is one that strengthens a previous law banning bump stocks and other trigger devices like the ones that were used in the 2017 Las Vegas shooting that claimed the lives of nearly sixty people. All that being said, Governor Brown also vetoed a handful of the bills that were passed by the legislature as well. For example, he vetoed a bill that would have limited California residents to only purchasing one long gun a month, as well as another bill that would have required the California Department of Justice to create a system that would allow gun owners to voluntarily surrender their firearms to the state. Soon after Governor Brown signed the bills into law, the National Rifle Association filed a lawsuit against the bill that raised the legal age limit to purchase rifles and shotguns, just like the lawsuit that was filed after Governor Scott signed a similar bill into Florida law as well. Όσα πρέπει να γνωρίζετε για την μέθοδο control crying!